Fill in your details below and we will let you know within 24 hours if we can get Catacombs 3rd Edition to you with haste! 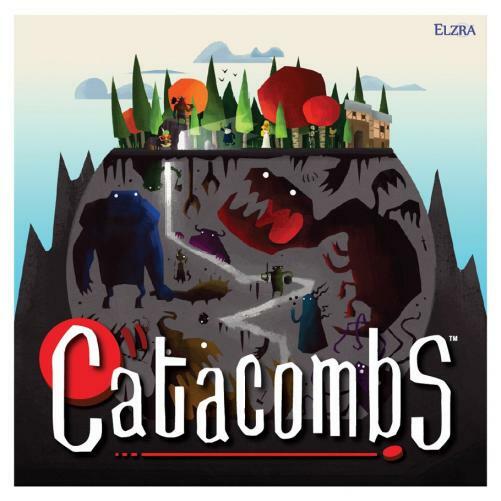 Catacombs is the award winning action/dexterity based fantasy board game which was recognized as Wired GeekDad.com boardgame of the year for 2011. Boardgamegeek.com and Dicetower.com recognized Catacombs with awards for innovation. The Third Edition of Catacombs is a major upgrade where every aspect of the product, including a full artwork conversion by the talented artist Kwanchai Moriya. As a result, production was shifted from China to the Netherlands improving the quality of the components. One player controls the Overseer, directing the monsters of the catacomb. The other player(s) control the party of four heroes who cooperatively try to defeat the monsters and eventually the Catacomb Lord. Each of the heroes' special abilities must also be used effectively if they are to prevail. The main mechanic of Catacombs is for the players to flick wooden discs representing monsters, heroes, missiles and fireballs. Contact with an opposing piece inflicts damage but stun, poison, critical and other shot modifiers can create other effects. Made in the Netherlands.